Running is more than just exercise — it's a performance. 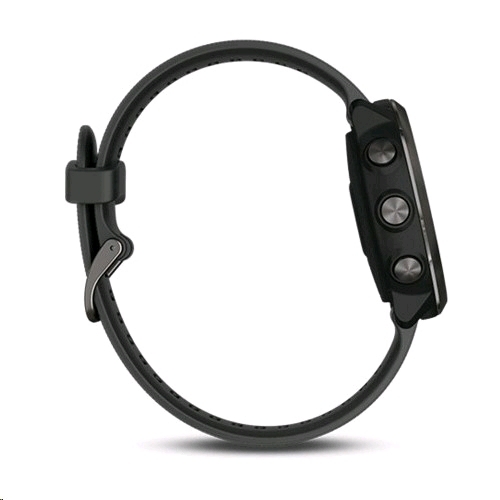 And Forerunner 645 Music has the tools to help you put on an outstanding show every time you lace up your shoes. It features on-device music storage — so you can run with your favorite tunes — and contactless payments that let you buy what you need without missing a beat. 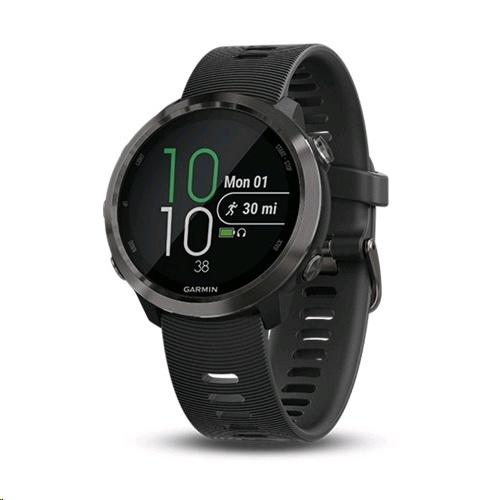 With all those features plus advanced running dynamics and performance monitoring tools, this GPS running watch is the instrument you need to refine the performance. Check out our Connect IQ store, where you can add personality to Forerunner 645 by downloading apps, widgets, watch faces and more. It's easy and — even better — it's free. New apps are added every day, so you can keep tabs on when your Uber is arriving, turn on your lights at home with the SmartThings app, and even use the AccuWeather MinuteCast app to find out when the rain will start. With the Face It watch face app, choose any image from your photo library, make some tweaks, and set it as your watch's face. Designed for runners, Forerunner 645 features a reliable five-button interface that lets you mark laps with a quick press. Feel free to take this watch outside in all kinds of weather. 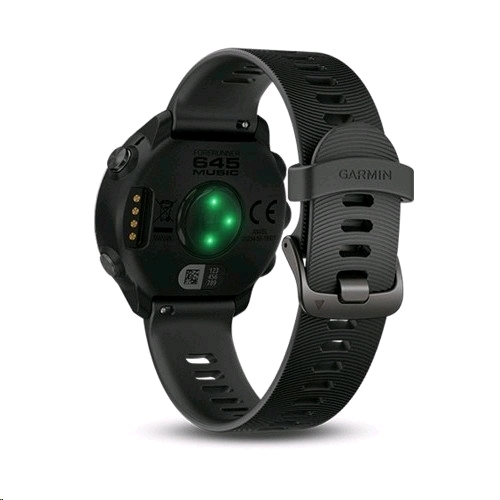 Not only is it safe for swimming and showering, its Garmin Chroma Display is easy to read — even in direct sunlight — and housed under chemically strengthened glass. When you want to change it up, swapping bands is fast and doesn't require tools. And with up to 7 days of battery life in smartwatch mode and 12 hours in GPS mode, Forerunner 645 is the running partner that can keep up with you.